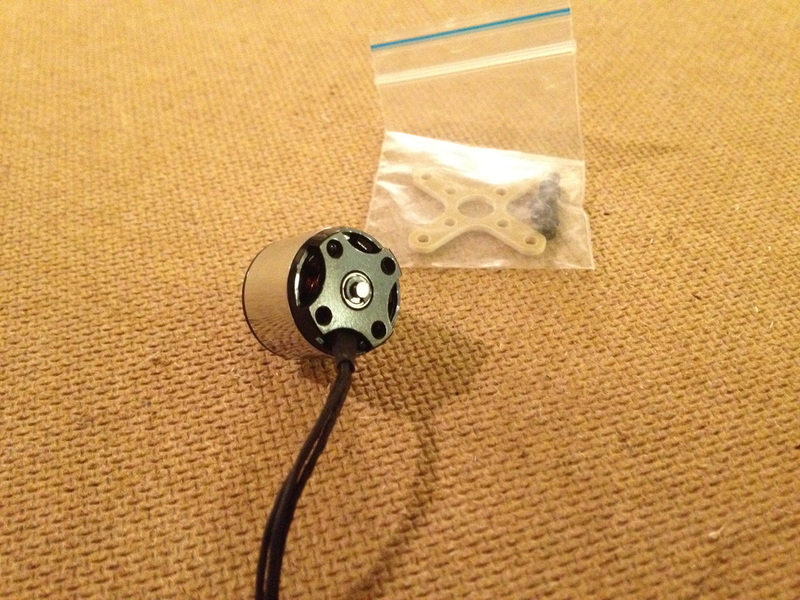 The motors that came in this quadcopter kit were 2200KV 16 gram motors. 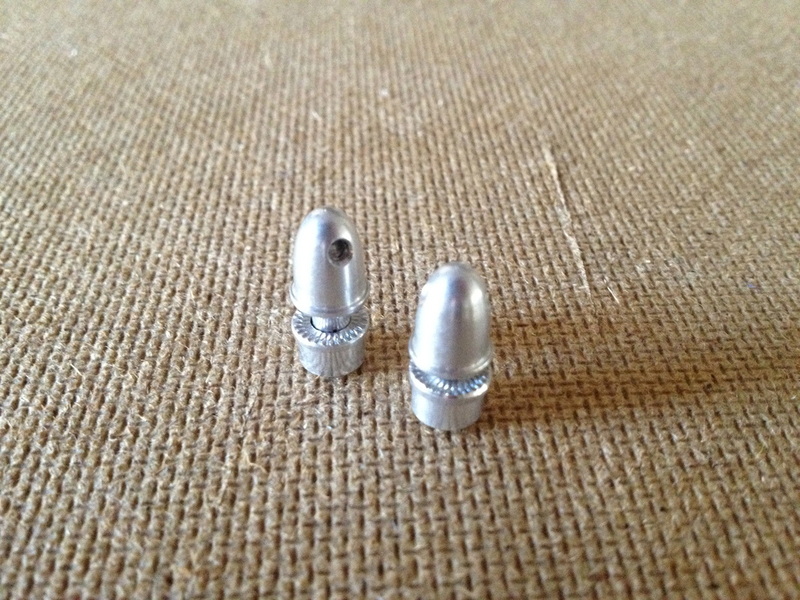 They are very small and light, but they pack a big punch. 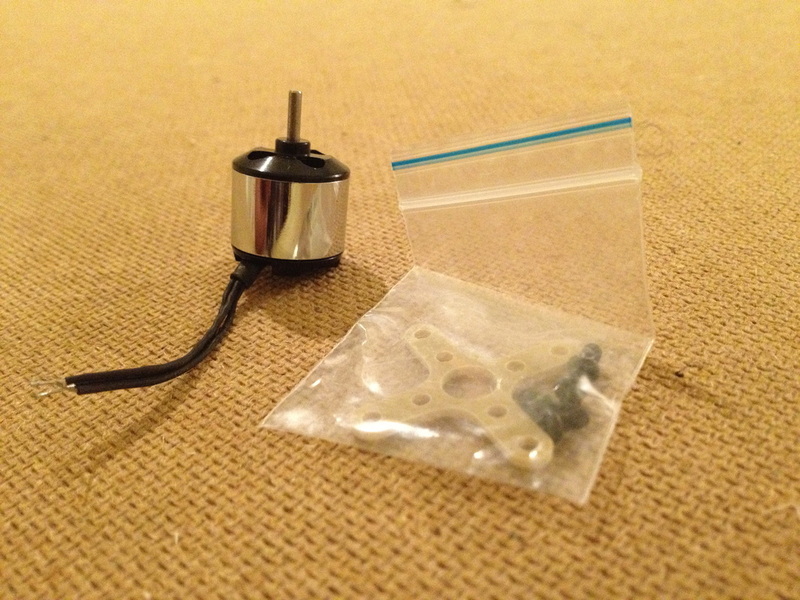 The motors came with four mounting screws as well as fiberglass motor mount with standard hole spacing. The three wires coming out of the motor were a bit thin and fragile, but that was okay because they wouldn't be under a lot of stress when soldered in place. The propellers also came with the rest of the kit and Terri, the seller, allowed me to pick any two colors from his selection of props. I went with the yellow and black color combination. The props were 5 x 4.5 x 3 and came with a full assortment of adapters for various shaft sizes. 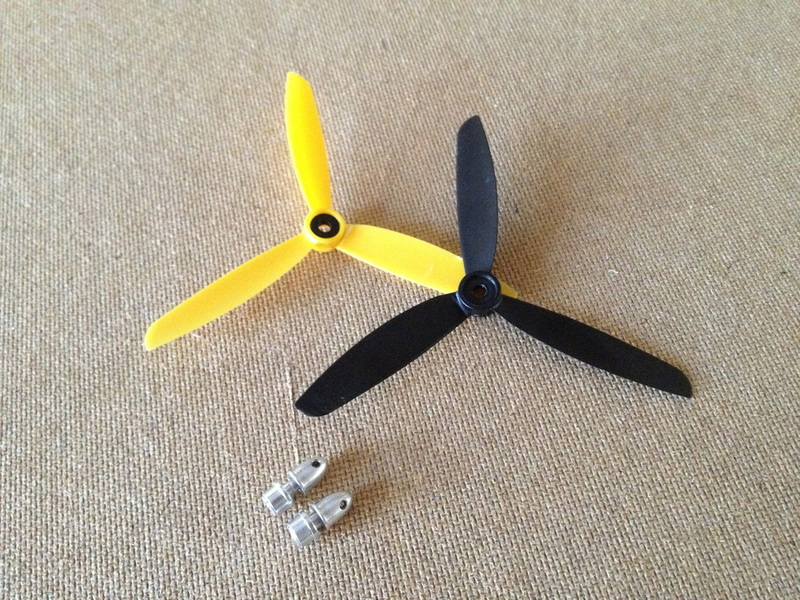 The kit also included 4 small colete type prop adapters.